Be the team trendsetter in Canterbury's Polo Track Pant. Featuring lightweight, breathable polyester and water-resistant, rapid-dry Vaposhield technology, these track pants not only look great but they keep you drier and cooler for longer. With their anti-static coating and elasticated cuffs, you’ll enjoy free movement and a great fit whether you’re training on the field or hitting the gym for a workout session. The durable classic track pants come with a full leg zip, giving you extra flexibility for cooling down or changing your footwear. 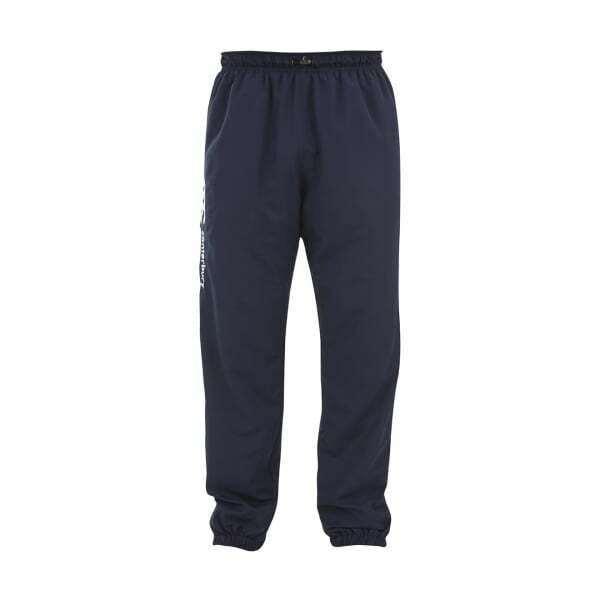 The embroidered branding on the pants will distinguish you as part of the Canterbury community, as well as reflect the high quality and authenticity of the product.